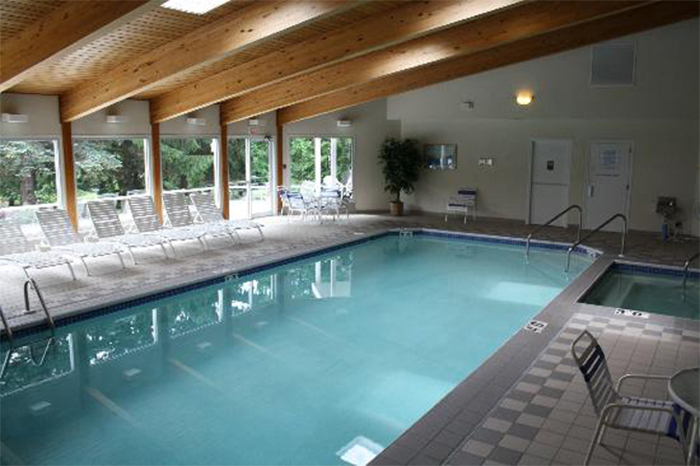 The AppleCreek Resort with an Indoor pool/whirlpool,across the from Shops, by Winery, Peninsula State Park; bike, hike, cross country ski, lighthouse, golf and sleigh rides. 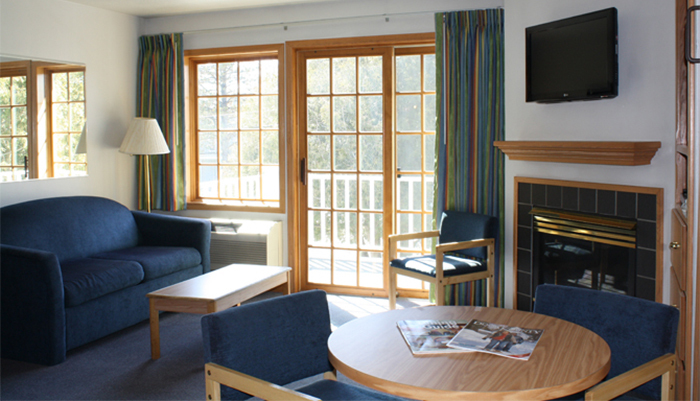 Select a suite with a private whirlpool & fireplace or various hotel style rooms from a private balcony to economy rooms. 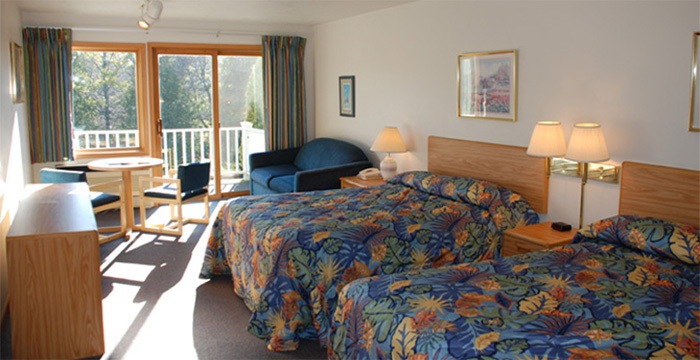 Featuring Guest House 2 bedrooms each a king bed,2 bath, kitchen, living room sofa sleepers, fireplace, whirlpool. 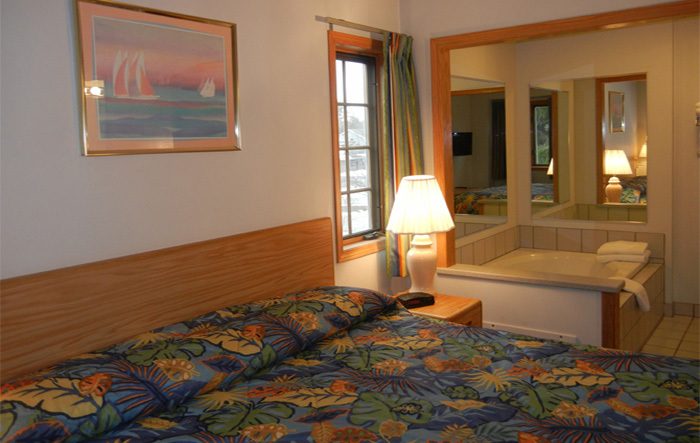 All rooms have refrigerators and indoor corridor to our warm wonderful indoor pool & whirlpool and sundeck. Open daily. 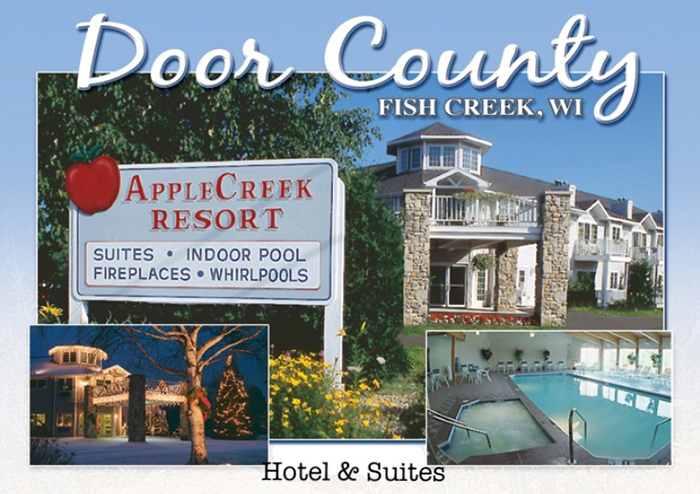 Front desk open 8am-10pm. Open Daily. Front desk open Su-Th 9am-8pm, F-Sa 9am-9:30pm.